Dictate News News Can the Russian S-400 shoot down even a single one of America's technologically superior missile or plane? Can the Russian S-400 shoot down even a single one of America's technologically superior missile or plane? The question should be, “Is there any US aircraft that the Russian S-400 can’t shoot down?” The answer to that would be NO. 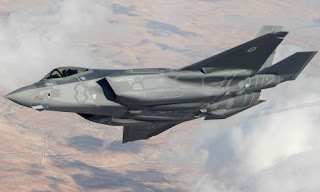 The S-400 would have a lot of trouble with the US F-35 super advanced stealth plane but still, they would limit its operations to a mere reconnaissance plane. That’s the only way it can stay immune to the S-400 missiles. If the F-35 insists on attacking, it would compromise its total stealth features and can be tracked by the S-400. There is a very huge misconception of “technological superiority” of the United States Military in comparison with Russia in general and this question is inspired by that misconception. Many people just assume that anything that comes from the West, especially the US, is more advanced than its Eastern counterpart, especially from Russia. This is very wrong. The US Air Force is undoubtedly superior. It could arguably take on the World Air Force (all other countries) and possibly win. However, there is a strong reason to believe that they advance their Air Force to counter the Russian Missile/Air Defense superiority. Russia (and USSR) has been decades ahead of the US in missile/rocket technology since the 50s. You remember the space program competition. The first spacecraft in the outer space, the first man in outer space, the first spacecraft on the moon, Russians/Soviets were always a step ahead of Americans, except for Neil Armstrong (first man on the moon). This missile/rocket technology superiority is the reason Russians are building rocket engines for the US up to today. If Russia wasn’t superior in that sector, why on earth would Americans buy such crucial things from their biggest adversary? Do you know that the newly formed branch of the US Armed Forces, the US Space Force is also already receiving its first batch of Rocket Engines from Russia already? The US Armed Forces plan to stop reliance on Russian Rocket Tech beginning mid 2020, if everything goes according to plan. For over 20 years, Americans have not produced their own rocket engine to replace the Russian RD-180. What does this mean? That Russia has superior rocket/missile technology. Therefore the big misconception of “technologically superior” Air Force doesn't help in this case. The S-400, many people may not know but it can actually detect a target at as far as 600 kilometers. In 400 Kilometers is where it can effectively engage it (track it and shoot it). The missiles fired by the S-400 run at 4.8 Kilometers per second. 17,000KM per hour. That’s how fast the S-400 missile goes. This means that if it detects an aircraft or missile in 600 kilometers, once that threat comes into the 400KM range where it can be properly tracked, locked and shot, the missile from the S-400 batteries will hit the incoming plane in less than two minutes. The missile travels 288 Kilometers in 60 seconds. That’s five times the speed of the fastest war plane deployed currently anywhere in the world and about 8 times the top speed of most modern fighters, including the F/A-18, F-22, F-35, Su 57, Euro Fighter, and all the 4th Gen fighters. This same crazy missile can climb to altitudes of up to 600,000 feet above. 185 Kilometers up in the air. In short, if locked, no plane stands a chance to escape this missile. How many can it track simultaneously? 300 targets. The s-400 system can track 300 targets. At the 400KM range however, it can only have as many as 160 missiles on ready to launch to its targets. Is the S-400 as effective as it is on paper? NATO takes them serious because they are serious. Russians are not so much of media people and therefore their marketing isn’t as strong as the American but these systems are effective. At least the western military circles can confirm that. Some Americans try to downplay them by comparing them to the Patriot but honestly the S-400 beats the Patriot by at least 3 to 1. In range, missile speed, tracking limitations. The S-400 is much more dangerous than the Patriot. What happened in Syria after Turkey downed the Russian Su-24? Russians brought in the S-400 that changed the game until now. The Russian Air Force was ordered to have the system ready and have two batteries monitoring every air flights and ready to engage any “aircraft that poses a threat to the Russian Air Force”. Since then, the war changed. Even the western allied air strikes on Syrian chemical weapons facilities in April 2018 were carefully agreed on with Russia to avoid falling prey to the hungry System. No one attacked anywhere near any Syrian or Russian forces. Why is Turkey literally threatening to buy the S-400 from Russia if the US backs out on a deal to supply F-35s to Turkey? The F-35 is very well know to be the most advanced plane in the skies of this planet today but if someone can consider the S-400 as a possible choice over the F-35, it means something. And why is the US furious over it and actually threatening sanctions on Turkey if they dare buy the Russian system? The US knows what that system is. As of September 22, 2018, the US has sanctioned the Chinese Military and some individual Chinese officials for “China’s buying of S-400 systems and other weapons from Russia”. The US knows how dangerous that system is. It accepts Russia to have it (they built it) but they will do whatever they can to prevent it from falling in hands of nations that are not aligned with them. The question isn’t whether S-400 can shoot down ‘any’ US aircraft, it is whether there is any US aircraft that the S-400 can’t shoot down. As of today (Sep 28, 2018) Russia has announced that it will be sending S-300 Air Defense Systems to Syria after the Syrian air defense missiles (S-200) shot down a Russian reconnaissance plane, killing all 15 onboard while trying to shoot an Israeli F-16, an incident that both Russia and Syria blame on Israeli pilots for allegedly using the huge plane as cover. Both Israel and the US have come out to condemn the move and the us called it a “big mistake”. 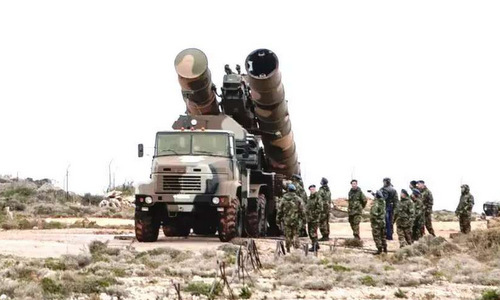 Its important to note that these are S-300 missiles, the predecessors of the S-400 but they can still cause trouble to Israeli Air Force with all the good American planes and their awesome pilots. What it was the S-400?